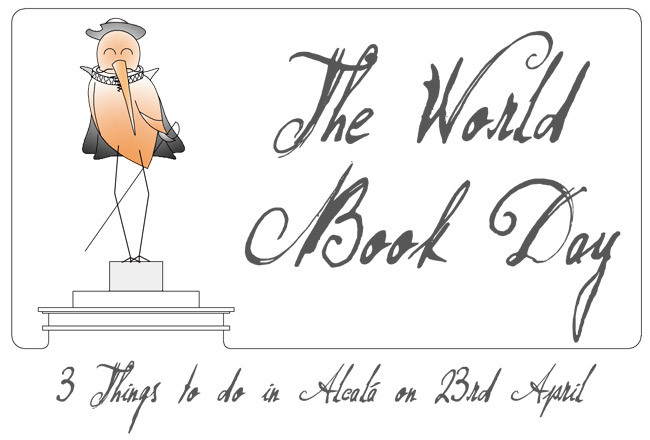 This date, the 23th April, was chosen as the World Book Day by the UNESCO, for being the day in which, in 1616, both Cervantes and Shakespeare died. This is not completely true, since at the time Spain used the Gregorian Calendar, while England used the Julian Calendar, so although both writers died on the same date, Shakespeare actually died 12 days later than Cervantes!. 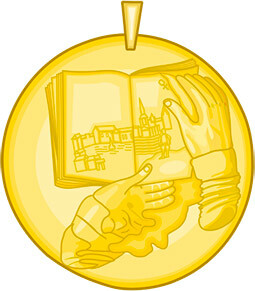 The ceremony takes place in the Paraninfo of the University of Alcalá, and the Kings of Spain, or recently the Princes, are in charge of giving the prize to the winner. Sadly it is not a public event, but there are always throngs of people in the entrance of the University wishing to see the King and Queen, Princes, Ministers and other well-known public figures. El Festival de la Palabra is a “festival” organized by the University of Alcalá to honour not only this very day, but the whole literary month. Events such as exhibitions, cinema or even lectures have their place in the scheduled activities..
Another place to buy or just to glance through some books, is the Alcalá Book Fair, which this year celebrates its 33th edition. 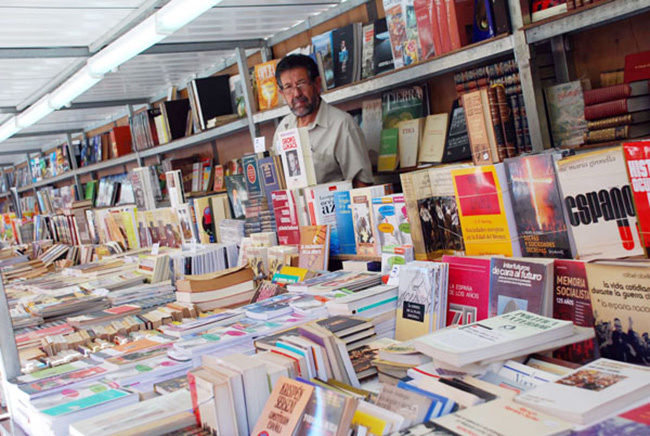 It is a small book fair, but with a wide range of titles, especially books about Alcalá. The Book Fair is located in Plaza Cervantes and will take place from 25th April to 12th May, with timetable 10:00-14:00 and 17:00-21:00. This day is also a marvellous day for buying books, since you will have a special 10% discount in bookshops, not only in Alcalá, but in the whole Spain. So, if you have any book in mind, this is the day to buy it!